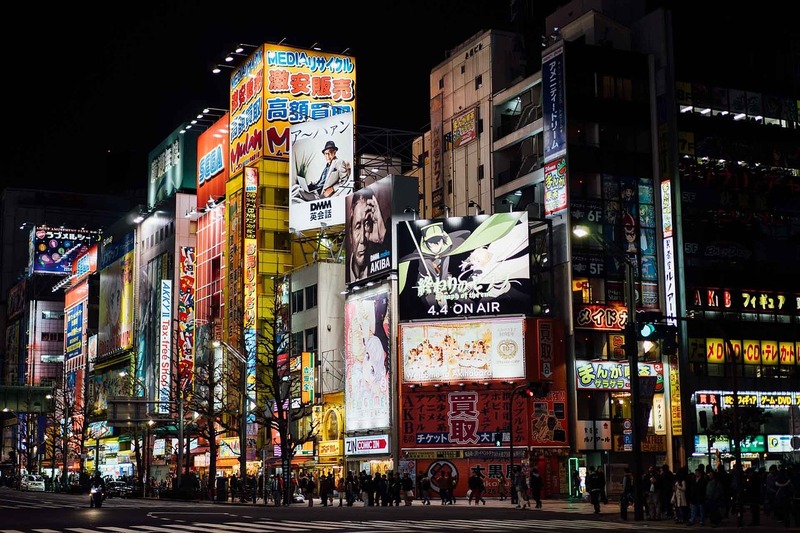 On our trip to Tokyo, we only managed to book 5 nights to enjoy the best the city has to offer. Of course, discounting the day of arrival and departure, this left us only whit 4 days to explore the city. And knowing Tokyo in 4 days, especially on a family trip with one children is not an easy task, so we had to study our destination well, choose the priorities to visit, the ones we really wanted to see and, of course, the ones we wanted to see but we probably would not have time to visit. Something that makes it difficult to get to know Tokyo in a few days is its immensity. Tokyo is really huge and, for those who want to visit it with little time and do not organize their trip, it will be easy to feel lost, and will waste a lot of their precious time, so we really advise to, like we did, plan what you want to visit, how to do it, and organize your itinerary very well. On recent posts we described each one of the different days of our stay in this wonderful city. Now, what we propose in this post is to conduct a joint itinerary of the four days we spent in the city, hoping to share our experience of traveling in family but, mainly, to give some help to pleople that want to organize theyr stay in this city. We can garante that , of all the cityes we visited around the world, this is perhaps the one that required more planning and organization, but at the end of the trip we felt that these 4 days allowed us to enjoy much of what Tokyo has to offer, and were a huge success. So, let's us start by sayng that the solution to make the most of your stay is to divide well and organize your days, that is, within the attractions you want to see in the city, try to see which ones are closest to each other and try to join your visit, so that it allow you to avoid going from one side of the city to the other and having to return to the same side of town on another day that you had already been there. Unlike other cities, it can't be said that Tokyo has a center. What we can say is that it has several centers and each one with its attractions. It is also necessary to mention here that what each of us looks for in each destination can be completely the opposite of another person, so we always advise people to study as much as possible your destination (which in itself is always a pleasure for us, before the trip is like starting the trip), and choose what you want to see. We also always advise you to choose what is really indispensable for you and you can't lose, always leaving these priorities for the first few days, because imponderables can always happen, especially for those who travel with childrens. Well, let's talk about the description of our itinerary and our organization day by day. An important question about where to stay in Tokyo will be tied to the location of your stay. Contrary to what we had read in many places, we did not consider Tokyo the most expensive place we have been. After our trip to Iceland, that is a really expensive destination (you can see our trip to Iceland here), all destinations seam to not be so expensive. 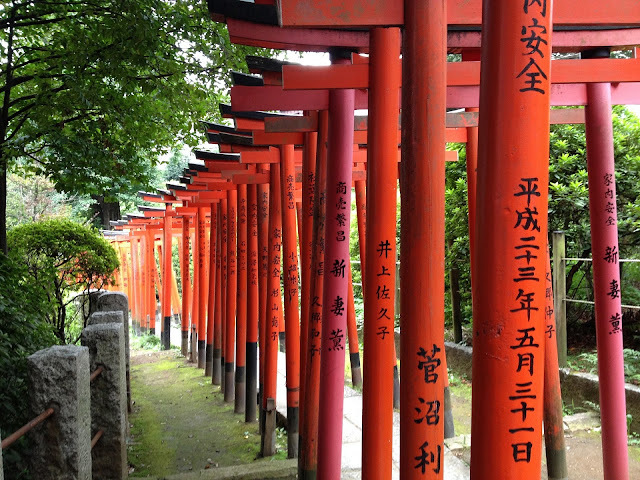 During our stay in Tokyo we can say that you can make a life with values ​​not very different from what is practiced in other European cities, even cheaper than many in northern Europe. However, on a hotel level, you will easily check through an internet search that this is not a cheap destination. And, as we said earlier, it is not too easy to know what the center of the city is. So what we tried was to take into account a hotel that was close to the main metro line, JR Yamanote Line. Given the conditions we intended, we ended up staying at The B Ochanomizu hotel (you can see here his official website) near the Kanda area. This 3 star hotel has provided us with a location which, in our opinion, was optimal. First of all, we had several metro stations within easy reach and, even on foot, we could reach the Akihabara area, as well as the Imperial Palace and Tokyo Station, for those of us who like to walk. 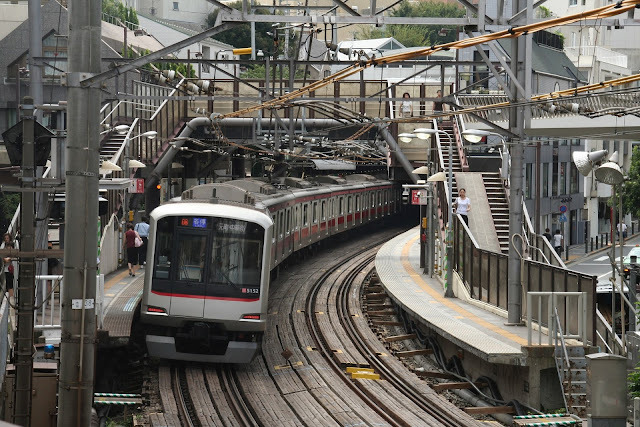 Throughout our itinerary, we tried to walk the most, but this is an impossible task to do all over the city, which is really huge, so we recommend the Metro, which is an cool adventure, but an experience that you will have to do on your trip to Tokyo. 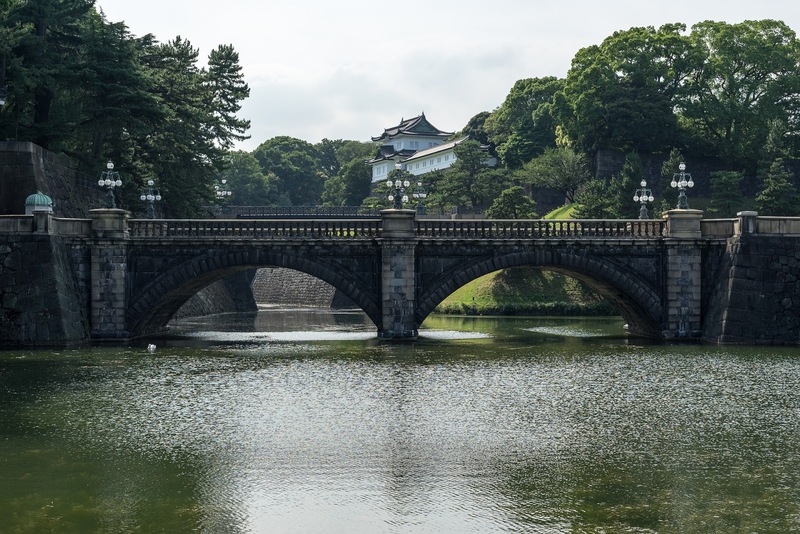 Of course our itinerary was connected to our base, but in the morning we went to the Marunouchi district, perhaps the center of Tokyo, where we strongly advised to visit the Imperial Palace Gardens, a great way to start your day and your trip through Tokyo. After the visit, we walked to Tokyo Station, still in the Marunouchi district, where, in addition to meeting one of the busiest stations in the world, we had the opportunity to experience a delicious meal, namely at Tokyo Ramen Street. Continuing at the station, we took the subway to Hamamatsuchō Station, where we aimed to visit one of the temples we loved most in the city, namely the Zojo-Ji Temple, one of the best surprises in the city. 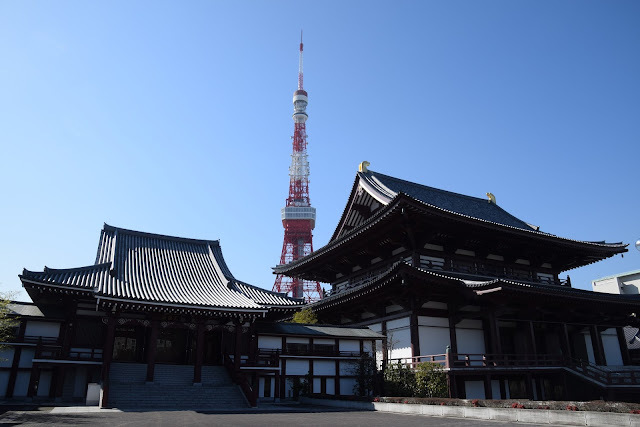 Very close to the Zojo-Ji Temple, is the Tokyo Tower. This red and white Japanese version of the Eiffel Tower is impressive but we only visited its exterior because we had planned for another day to see the city high up in another iconic building. After the visit to the Tokyo Tower, we made our way to Hamamatsuchō Station, where we took the subway to Akihabara Station, to see the end of the day / beginning of the night in the Akihabara neighborhood, the "electronic city" of Tokyo . Still in this neighborhood, we used to eat delicious sushi at Uogashi Nihon Ichi Atre Akihabara, which we highly recommend. Click here to see the full description of the firstday of our family trip in Tokyo. 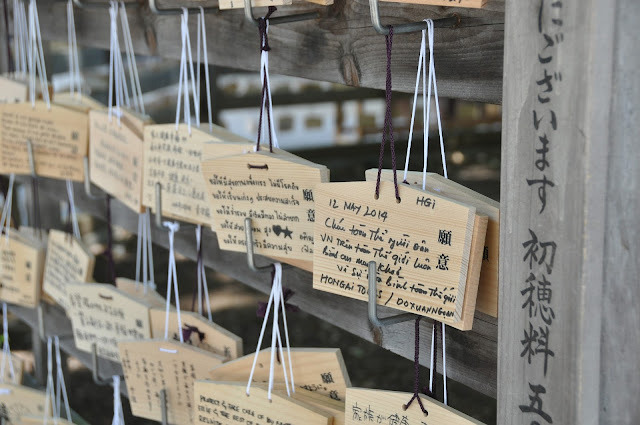 We purposely left this itinerary for Sunday for two reasons and one is because it is this day of the week that multiple weddings are held in the Meiji Jingu Shrine and we wanted to see the brides in their kimonos, so that's where we headed later of breakfast. After the visit, we came to know the Yoyogi Park, which is located the Meiji Jingu Shrine but, whose entrance will have to realize by another place (Learn how to get here). Even near Yoyogi Park we already knew where to eat, so after a short walk we arrived at the Afuri Restaurant, for another perfect dining experience in Tokyo. After lunch, we took another short walk to Takeshita Street, which is in the Harajuku Quarter. And this was another reason why we booked this itinerary for Sunday, because it is on this day that usually many young people of Tokyo take the opportunity to walk these streets in the most peculiar forms, being the zone of excellence for cosplay of the city, in which creativity, daring the conventional rule. After walking along Takeshita Street, we took a 1.5-kilometer hike (you can go by subway, but as you know, we like to walk) to the Shibuya district, one of the youngest districts of Tokyo and full of electrifying energy. We took the opportunity to take a stroll along the famous Shibuya Crossing, one of the busiest pedestrian walkways in the world, as well as to visit the Hachico Statue, before we purposely let ourselves be lost in what is considered, for many, Tokyo Times Square until it was time for dinner. For dinner, we stopped by the Shibuya neighborhood, where we went to experience the futuristic version of eating Sushi at Genki Sushi. For the return, we took the subway at Shibuya Station, having the pleasure of exploring one of the other major stations in the world, impressive. Click here to see the full description of the second day of our family trip in Tokyo. 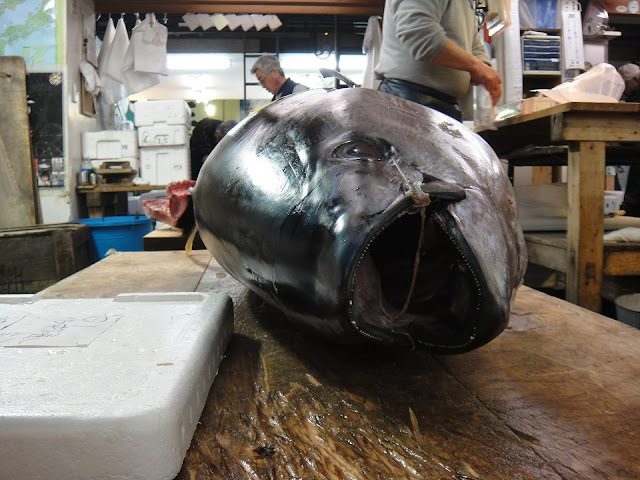 We started our day early because we wanted to go to the Tsukiji port area, where one of the biggest fish markets is held every day and, believe me, it is worth doing this unique experience in Tokyo. Right next to the Tsukiji Market is the Tsukiji Hongwanji Buddhist Temple, which is one of the most unique and unique temples in Tokyo, which most reminds us of a Thai temple but which gives it a unique serenity in a place as busy as Tsukiji. It is said that it is at the Tsukiji Market that one can eat the best sushi in Tokyo and, we can say that, the best sushi of our life was, really there, in Sushi Katsura, which we highly recommend. After our delicious lunch, we made a beautiful walk towards the Ginza district, where we took the opportunity to see the exterior of the Kabuki-za Theater, a majestic building with a significant weight in traditional Japanese culture. 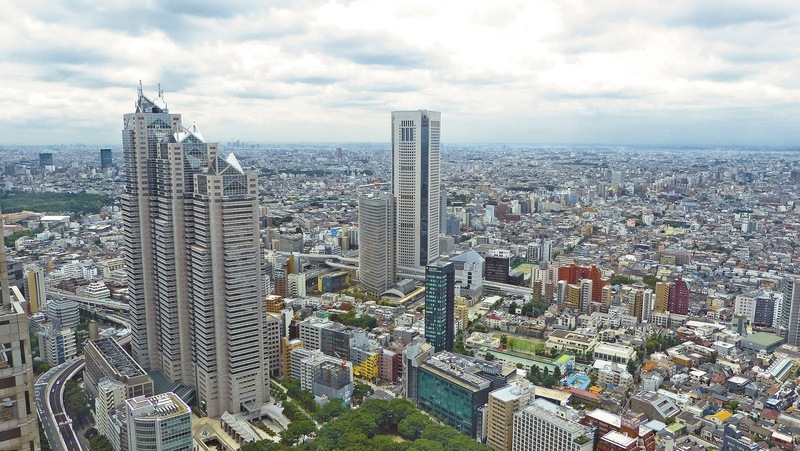 Although we did not take much time in this neighborhood, it is a great place to walk and, for those who wish, to buy but, as that was not our purpose, we took the metro in Ginza to go to the neighborhood of Shinjuku. We ended up leaving at Shinjuku station and, had we already seen such impressive metro stations, this is probably the biggest and busiest of all, in our opinion. 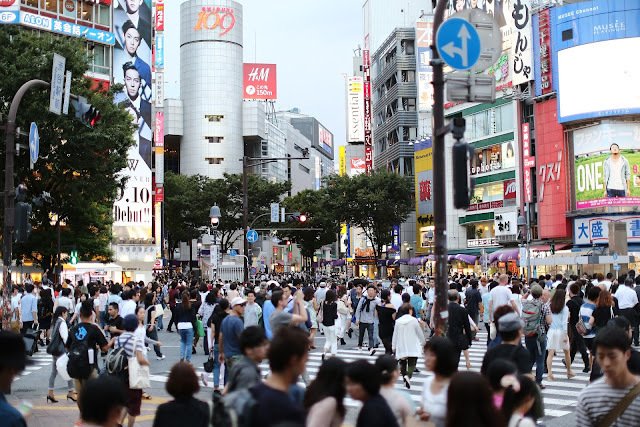 In fact, the whole neighborhood of Shinjuku is hectic and full of life, surrounded by skyscrapers and bustle but, an always organized and not noisy bustle, which is impressive. This is a park that we tried to get into, but by chance it is closed on Mondays, so we could know it from the inside. Also in the Shinjuku neighborhood is the Park Hyatt Hotel. This is a hotel that, for those who are fans of the movie Lost in Translation is a must visit. Of course our dream would be to stay at this hotel but such would be at all unbearable for our budget. Right next to the Park Hyatt Hotel is Central Park Shinjuku, which turned out to be the ideal spot for a break in the middle of the action and for those traveling as a family, as is our case, for the kids this is a perfect place to stay. play and explore. From free entrance, this is the perfect place for you to have a 360º view of the entire city and hopefully see up to Mount Fuji. 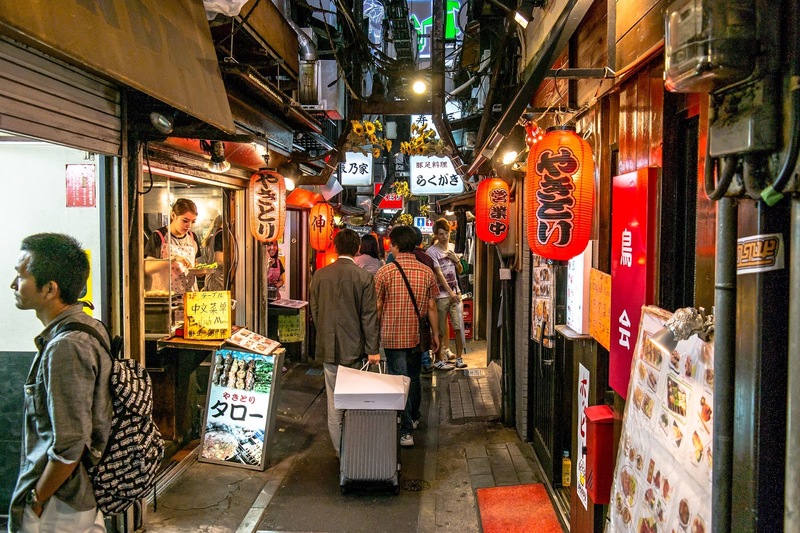 Piss Alley does not appear to be an attractive name for a meal but, we can assure you, it is in this area, which is right next to the Shinjuku station that we had one of the best meals in Tokyo. Click here to see the full description of the third day of our family trip in Tokyo. In our last day in Tokyo, we made a change, namely in the place where we would spend the night because, as on the next day we would have to catch the plane early and, as it would at Narita airport which is still far from the center of Tokyo, from Haneda Airport, we opted for the last night's sleep at a hotel in Narita that had a transfer to the airport. This option ended up working beautifully, had only the annoyance of, during that day we had to carry our bags but, as we always try to travel as light as possible, this was not a great inconvenience. For our day, we had planned to visit one of the most famous attractions of Tokyo, the Senso-Ji Temple, which is in the Asakusa neighborhood. This is undoubtedly one of the most impressive temples in Tokyo. It is really beautiful, immense, but something we loved in Tokyo was the fact that we never feel in a tourist place, but in a city where we live. 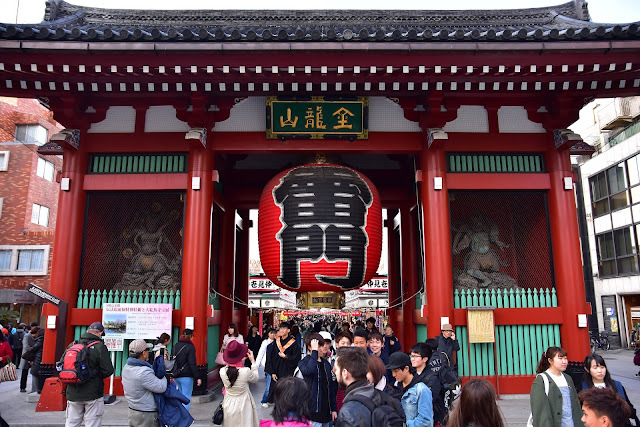 However, when arriving at the Senso-Ji Temple it was not what we felt, this being the place where we most feel tourists and, unfortunately, tourists like us end up taking beauty to a fabulous place. On the outskirts of Senso-Ji Temple is famous Nakamise Dori Street, a street that accesses the temple and where commerce and restoration reigns. Of course, each person has his or her opinion and we are not all obliged to like it, but we were disappointed with this street, which is also very tourist-oriented, and neither the articles sold nor the restoration have captivated us minimally and, in all different from what we felt the other days in Tokyo, reason why our desire was quickly to leave there. Leaving Nakamise Dori Street, we took a short walk to see the Asahi Beer Hall building, one of the headquarters of the Asahi Breweries, which is on the other side of the Sumida River. This building was designed by French designer Philippe Starck and really makes you think of a glass of beer, so it deserves the fast ride, for being one of the most recognizable modern buildings in Tokyo. Another of the most striking modern buildings in the city is the Tokyo Sky Tree which is 634 meters high is the tallest structure in Japan. It is possible to climb to this tower and we believe that the view must be impressive from its top, however we were limited to seeing from outside its impressive structure and height. The day was not to be the most wonderful of our stay, we can assure you that the visit to Ueno Park has come to change. This is a huge park and it made us feel again in communion with this wonderful city. Of course, the highlight of our visit to Ueno Park is the height of cherry blossoms during Hanami parties, but we were not lucky enough to travel at that time. Even at Ueno Park we took the train that took us to Narita, where our hotel was, and still allowed us to explore the city of Narita a bit. In Narita we had already planned to visit the Narita-San Shinsho-Ji Temple, which we loved and it was a huge surprise. It is huge, full of beauty and history and very empty, quiet and silent, which allows to appreciate the calm of the place. A big surprise for the farewell to Tokyo, because the next day we would take the plane back, putting an end to our family trip in the beautiful city of Tokyo. 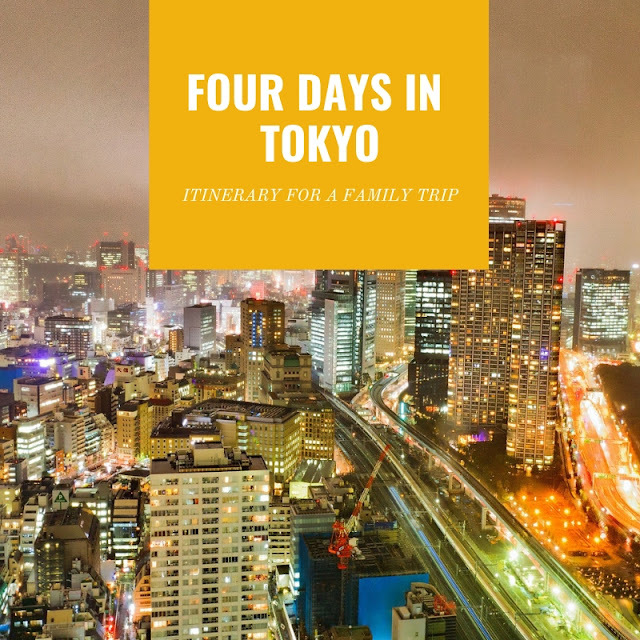 Click here to see the full description of the fourth day of our family trip in Tokyo. We hope our itinerary helps you plan your family trip in Tokyo. We would like to invite you to follow our experience with us for the 4 days of the trip, in which we describe in detail our entire trip and we believe that it will help you to plan your trip to Tokyo. We also invite you to comment and give your opinion, and we thank you very much for your visit to our Non Stop Family travel blog, which we hope you have liked and continue to visit us. Wow, you have managed to see so many things in just 4 days! 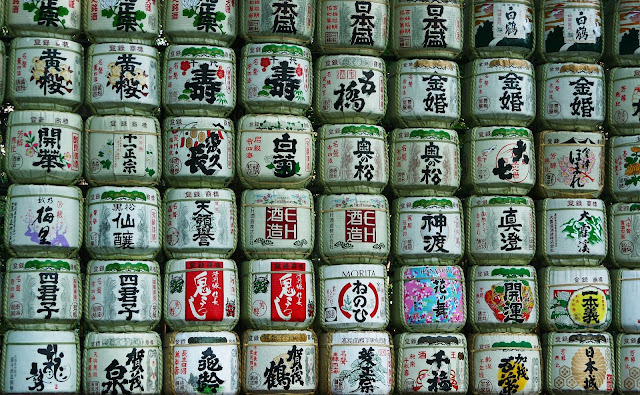 I would love to go to Tokyo one day and I have to admit that I would be lost initially with where to start creating my itinerary. It's good to know that the city doesn't really has a centre and that each neighborhood has something to see in it. I can't wait to do a trip to Tokyo one day! My parents took me once when I was a baby, but it would be great to experience it as an adult. I bet you could stay for a month and still have places to discover! Thank you! 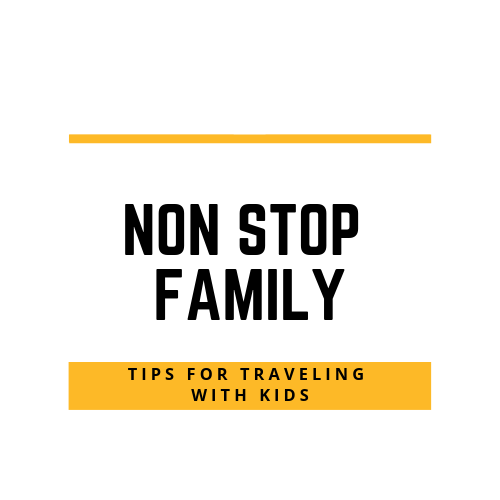 This is very helpful for family travelers! Oh wow, Tokyo is such a great place ti visit. I always wanted to go here. Truly a bucket list material. I never travel much but this has got me inspired, thanks for sharing really informative and well written. This is such a great post and very detail itinerary to used. Such a great timing, we're planning to go there early next year. We will use this as our guide. Thank you for sharing this. Looks amazing! My wife and I really want to visit Japan and Tokyo will be one of the spots for sure on that list. It looks like this is so much to do and see! This is a MAJOR item on my bucket list, though it may take me a few years to get there. Definitely bookmarking! Thanks for sharing these tips. Tokyo seems to be a very nice place to wander. The places you mentioned above are very interesting. Nice blog. This is such a thorough and informative post! I can’t wait to visit Japan. It’s been on my wishlist for years. This looks amazing. Your pictures are awesome! This sounds like you had a great 4 days there. It looks amazing. I always wanted to go here. Thank you for the info, I always wish one day I will visit a place like Tokyo and New York city. Wonderful pics. Totally agree with you on pre-planning. You planned really well and hence such a wonderful itinerary. great post!! I would love to go to Tokyo some day soon!